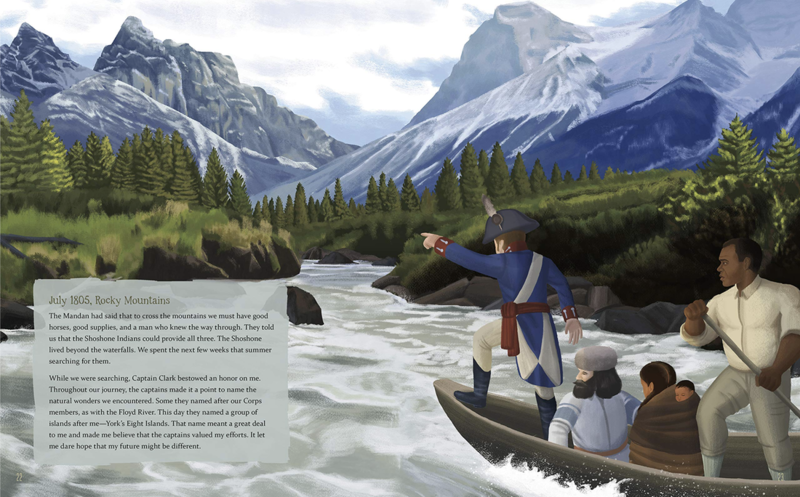 Thomas Jefferson's Corps of Discovery included Captains Lewis and Clark and a crew of 28 men to chart a route from St. Louis to the Pacific Ocean. All the crew but one volunteered for the mission. York, the enslaved man taken on the journey, did not choose to go. Slaves did not have choices. York's contributions to the expedition, however, were invaluable. 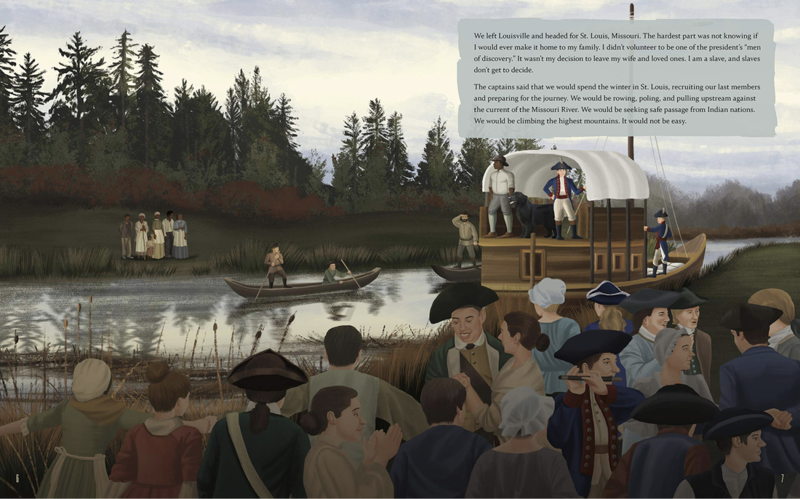 The captains came to rely on York's judgement, determination, and peacemaking role with the American Indian nations they encountered. But as York's independence and status rose on the journey, the question remained what status he would carry once the expedition was over. This is his story. 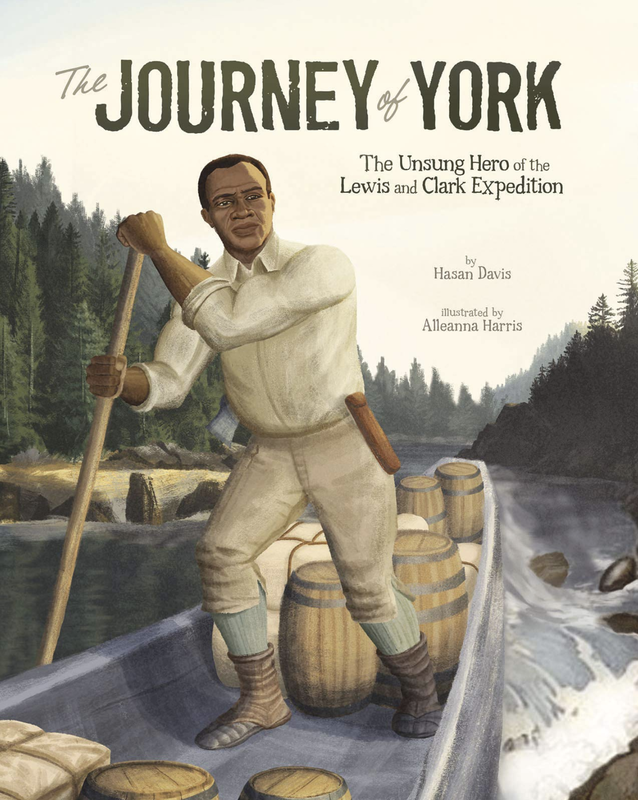 "Davis imagines York's feelings as he navigates his role as both enslaved African-American man and almost-full member of the expedition, narrating in a stiff voice that emulates 19th-century prose and also captures the stress of life as a second-class citizen. . . .Harris' illustrations also evoke the flat, primitive style of much 19th-century painting. Compositions frequently place York at the margins or in the shadows, underscoring the fact that he was not a full member of the party. . . An important, underheard voice." "Harris contributes a series of well-composed tableaux, portraying each character with dignity while featuring a variety of American landscapes. 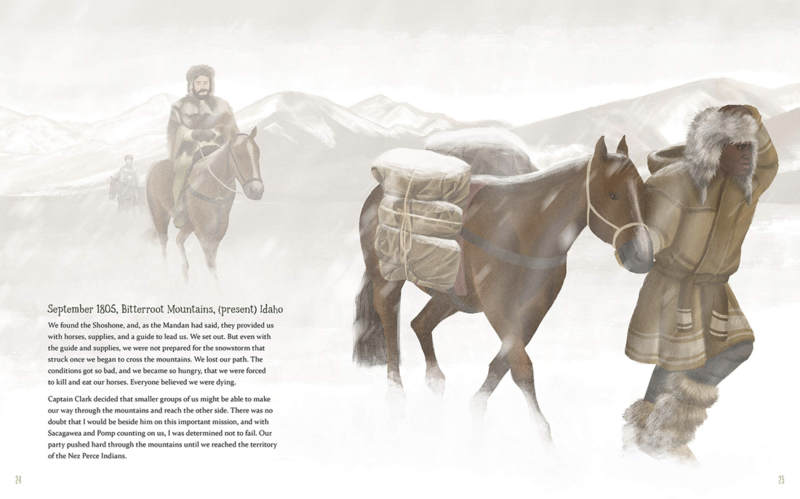 A picture book spotlighting York is welcome, and his portrayal here is respectful and sympathetic. 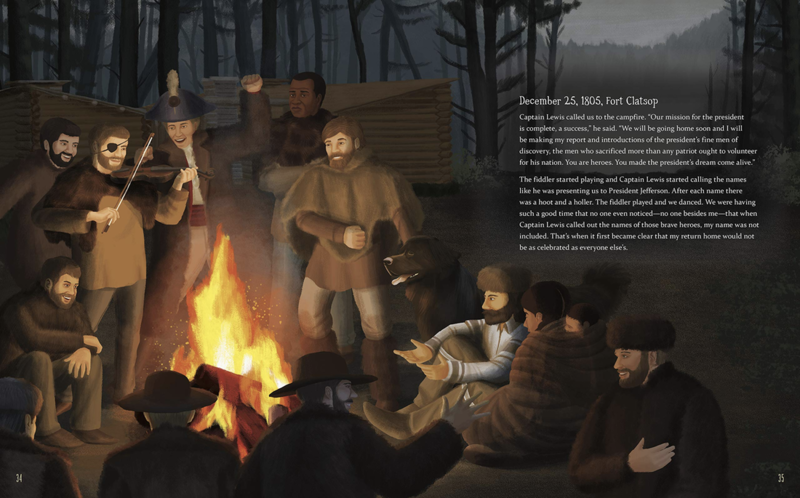 . . .this picture book provides a colorful introduction to York, a unique figure in American history."